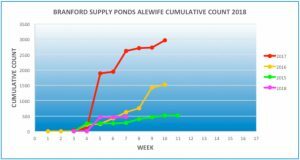 There was a modest uptick in our annual alewife count last week – according to the electronic fish counter, an even dozen alewives made their up the fishway. Maybe the counter started working again late in the week? 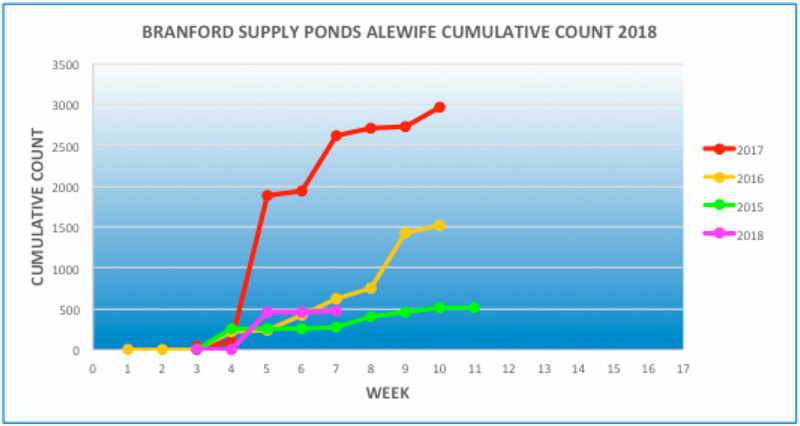 The DEEP is reporting that 2018’s alewife run might be winding down already. I’m not sure we’ve even gotten started. This year’s fish count is a mystery, but you should come out and enjoy the woods and wetlands anyway!